I chose the poor lemming as the theme for my site. This poor little rodent gets a bad rap. They are in the same family as rats, mice, hamsters, and gerbils, but the never hibernate, even though they are found in the harsh arctic regions. They tend to live solitary lives, hooking up with each other only to mate. 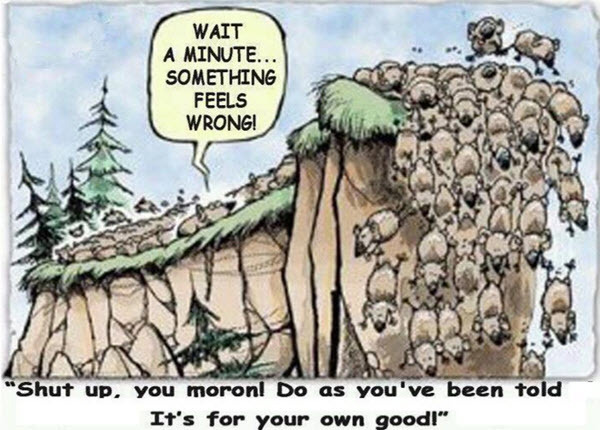 It is not a proven misconception that lemmings commit mass suicide by jumping off cliffs, or by following the lead lemming off a cliff, but yet the meme sticks with us, as shown in some of the pictures below. They are also the subject of many political cartoons that show people or ideologies running after one another off a cliff, based on this false idea that this is what lemmings actually do. Both movies and cartoons from the 1950s, including Disney have shown lemmings diving to their deaths. One of the most popular uses as the 1985 Apple Computer Superbowl commerical (shown below). The 1985 was struggling to top the 1984 commerical (also below). 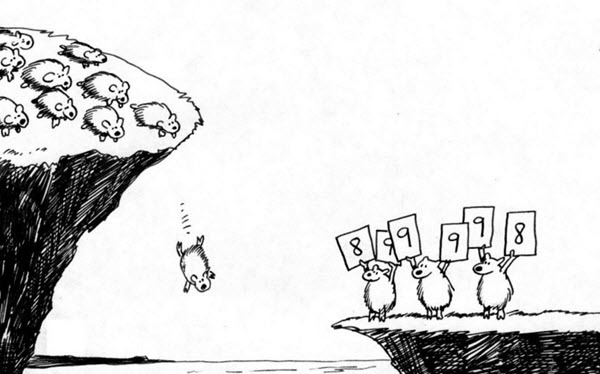 So over the years, the “Lemming Suicide” myth has been used as a metaphor for people questioning an opinion held by the masses, and following it blindly, oblivious to it’s consequences. All that to say, we are here to break the myths held by the masses, to go against the grain, and to blog the truth, where that be about politics, business, or mass media. We will hold nothing back, and be truthfully honest in all our blogs, even at the risk of being offensive to some. 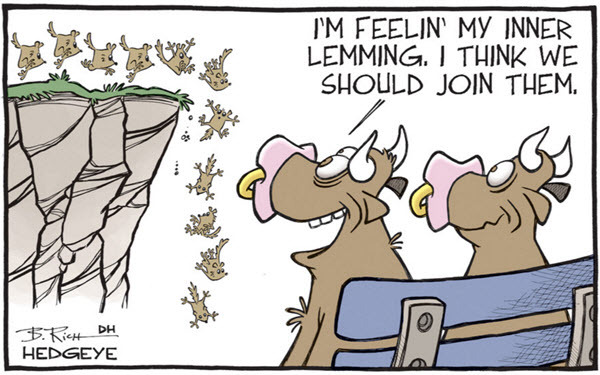 What do people believe about Lemmings? And where did the myth originate? They tend to blame the myth on a scene from the Disney movie. The last guys, actual credits Disney with building a metaphor for us, kind of a gift to the public (even though it is totally false). So in summary, the lemmings snicker at us for pushing such a big hoax on humanity. They are cute, adorable creatures, and deserve to better rap. And you deserve to know the truth!